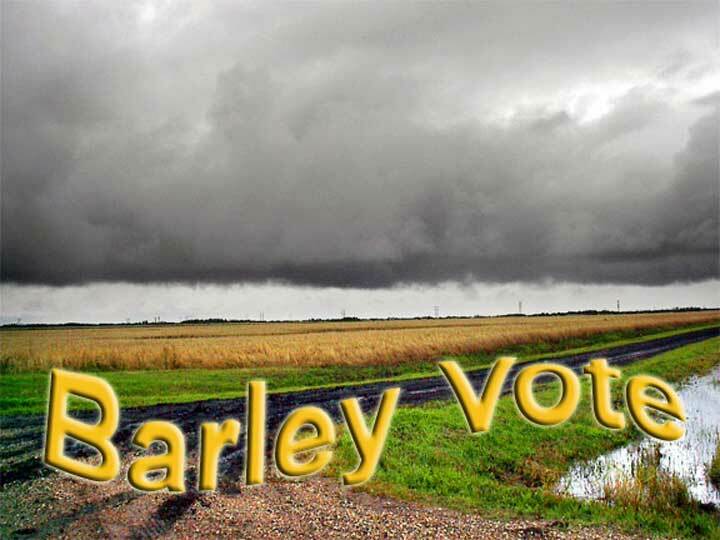 I would very much like to see barley producers like myself have the opportunity to vote but it looks like you are about to make the same mistake that was made last time there was a vote on barley. I believe it was Mr.Goodale who excluded many farmers from the vote last time. I personally have had some barley in my granary for many years with hope of being able to clean it for seed and then sell my crop outside the Canadian Wheat Board. Regrettably, you are likely to exclude myself and many like me who have postponed growing barley in order to avoid dealing with the CWB. Of course if you only allow recent barley growers to vote you will simply be perpetuating the status quo and making the whole process mute. In fact all grain producers need to be allow to exercise their democratic right to vote as 'potential barley producers', or be allowed to choose not to vote as the case may be. Think about it - who will vote that is not interested? Nobody! Shame on you and your advisors for falling for this old trick of making the voters who have already voted by not growing barley for the board, ineligible. Ask yourself whose brilliant idea that was and you will see exactly who supports the CWB! They in turn are making you come off just like all the CWB supporters and not at all like a politician in favour of a democratic decision. Interesting background to the development of the Canadian Wheat Board. I have been following the web site but have been too busy to make any contributions of late. I would like to see the article at the link below reprinted for your readers as my Dad had told me the story of the Pool holding back its grain and all its supports getting bailed out by government. His Dad however sold his grain for fair market value without a problem the same year. Three Prairie pools ran up debt after they unwisely speculated on high future prices. The federal government bailed them out by forming the Canadian Wheat Board to sell off stockpiled grain. Wartime subsidies and price controls led to the imposition of a monopoly in 1943.